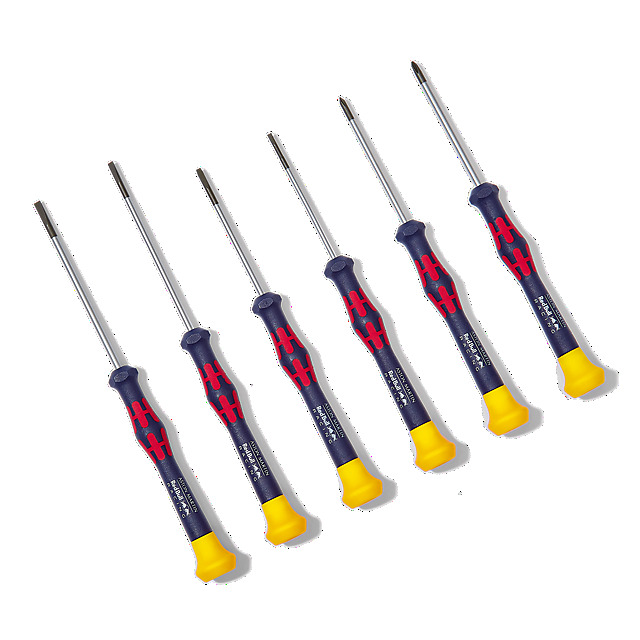 Kit out your garage with this practical Red Bull Racing micro screwdriver set from global tool specialists, Wera. 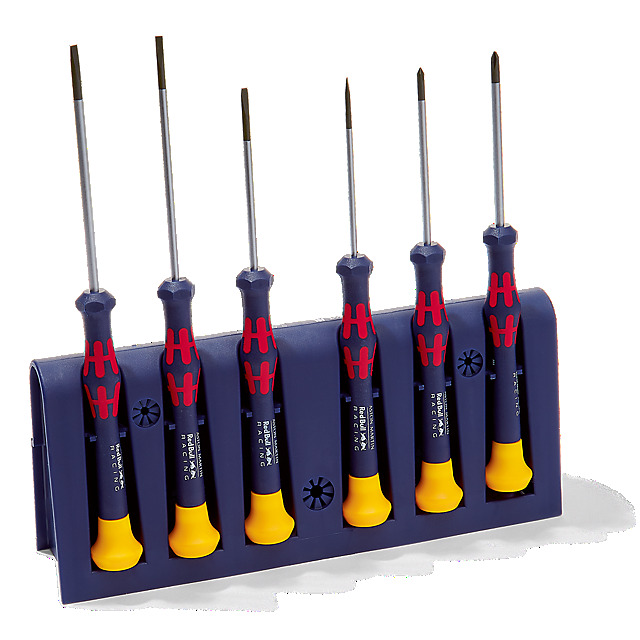 Designed in team colours, it consists of 6 high-quality screwdrivers for electrical and precision engineering, featuring a fast-turning zone, a power zone with integrated soft sections to ensure the transfer of high loosening and tightening torque, and a precision zone for the right rotation angle during fine adjustment work. Meanwhile, the Black Point tip offers optimised corrosion protection and an exact fit. 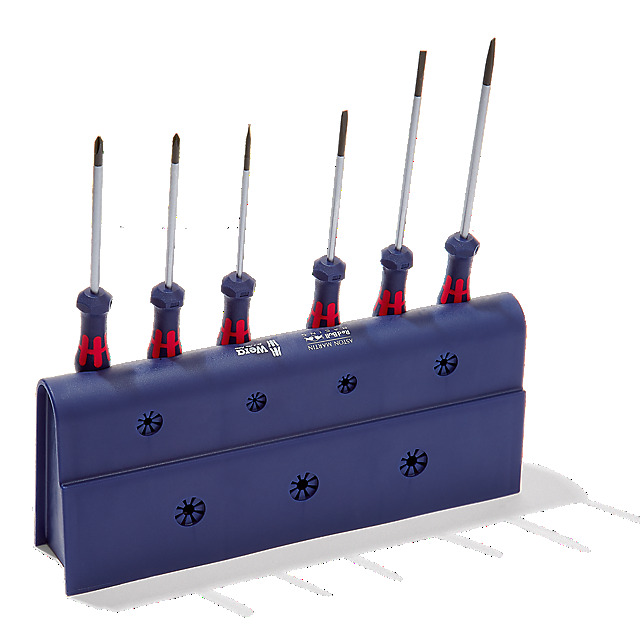 The set includes a rack for tidy storage.